You are here: Home / Invasive Species / Cane Toad Problems Around Your House, Dam, or Ponds? 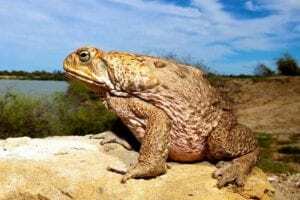 Cane Toad Problems Around Your House, Dam, or Ponds? The MRCCC have some ‘Hannon Taddy Catchers’ available to give out for free or a small donation of your choice. Requirements of obtaining traps and baits are that you read the instructions, sign a ‘code of conduct’ and return stats on where and when you set the traps and what you caught. This program has proved to be particularly popular with over 60 people registering their interest in obtaining tadpole baits and traps. Some have come to see the trap prototype to embark on making their own. 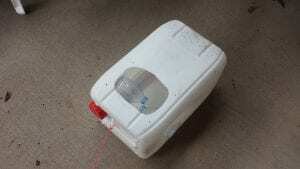 MRCCC are also looking for people who are willing to make traps using drums and drink bottles with design templates. For more information on these available traps, please contact the MRCCC on (07)5482 4766.